Madabhushi Sridhar Acharyulu, who recently retired as Central Information Commissioner, is one of India’s most resolute advocates for transparency, and for strengthening citizens’ right to information (RTI). 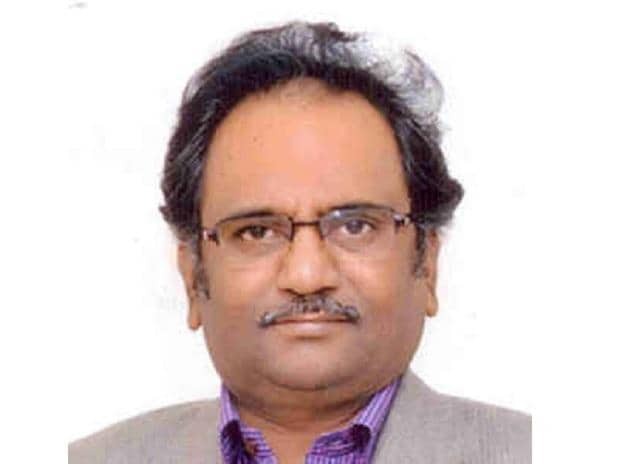 Acharyulu, 65, was a professor of law at the National Academy of Legal Studies and Research University of Law, Hyderabad, before being appointed to the Central Information Commission (CIC) in November 2013. He passed several crucial RTI orders in high-profile cases during his five-year term. These included orders to make public government records on the Polavaram Dam, Member of Parliament funds expenditure, the Employees’ Provident Fund Organisation, academic qualifications of people holding high public offices, including the prime minister, and most recently, the Reserve Bank of India’s records on big loan defaulters. Acharyulu is also an outspoken critic of the government’s attempts to amend the RTI Act, saying this will “finish” the Act and impair the CIC’s watchdog functions. In an interview with IndiaSpend, Acharyulu reflects on his just-concluded tenure, and the challenges to India’s transparency movement. Having spent the last five years as a member of the Central Information Commission--the RTI watchdog body--how would you rate the current health of RTI? I would say 9 out of 10. Our attention naturally goes to the cases where information is not given. But I heard around 20,000 cases in my tenure. In most, I ordered disclosure and my orders were followed. I tried to instil an attitude of disclosure in officers who appeared before me, and I did see a change over the years--in regulatory bodies like the Bar Council and the Medical Council, in ministries like law, environment [forests and climate change], and in the Delhi government. Six million RTI requests are reportedly filed each year in India. This shows how widely the Act is being used. But I would point out that 60% to 70% of RTI requests are either for employee grievance redressal, or entitlement grievance redressal. RTIs are being filed to ask about promotions, pensions. Or for something as basic as a copy of a government order which should already be in the public domain. This shows the scale of misgovernance. Many RTI activists and transparency advocates might disagree with your ‘9’ rating, and argue that the government has progressively undermined the right to information. For example, by denying information of public significance such as on large wilful loan defaulters, or by not filling vacancies in the CIC. The government has also undermined the RTI Act by steadily diluting the post of the Public Information Officer (PIO). The junior-most officers, including Section Officers, are servicing RTI requests, while senior officers with decision-making powers have distanced themselves from engaging with RTI requests. Yes, that is absolutely true. The decision to deny information often takes place at much higher levels, but the PIO, who is a small fry in the entire mechanism, is the one replying to your RTI request. The way I addressed this was to ask the PIO who appeared before me, “Where is the information held up? Tell me, or be ready to pay a penalty of Rs 25,000.” They would say, “Sir, it is not in my hands.” [I would ask], “Then in whose hands is it?” I would then make the relevant official the deemed PIO. That is how I ended up issuing show cause notices to a university vice-chancellor and registrar, a commission chairperson, and the RBI governor. This last case became big news. But I was doing it throughout my tenure in several departments, whenever the need arose. About the RBI case, which was among the last and most significant ones you heard, you issued a show cause notice to the RBI governor this November for not complying with the RTI Act, and ordered that the information sought on wilful defaulters with loans above Rs 50 crore be disclosed. But the RBI has challenged your order in the Bombay High Court, saying “such disclosure could harm the national economy”, and obtained an interim stay on the order on December 14, 2018. The RBI’s stand is most unfortunate. Its arguments that information about big loan defaulters is private, and disclosing it endangers national security and harms the country’s economic interests, are absurd. (These are) most unconstitutional and irresponsible arguments. It is just a cover-up for corruption and mismanagement. By not disclosing who the wilful defaulters are, you are hiding the involvement of bankers--that is my suspicion, that you have deliberately supported the defaulting process. Thousands of crores of rupees of public money have been given as loans. Some powerful parties have then defaulted. Why should this information be kept secret from the people? This is a total violation of the Act, a total illegality. In fact, the issue of loan defaulters is a classic case where transparency is necessary for solving such problems. With non-transparency, you have facilitated darkness to commit fraud, mischief, criminal negligence, regulatory defects and the evergreening of loans. Ultimately the burden of the loan appears to be unbearable. And then you come out and say it is a non-performing asset (NPA). This is not a business secret of the banks, but a business defect. One purpose of RTI was to question such bad governance. In fact, RBI has gone so far as to violate a prior Supreme Court ruling upholding several orders by the previous commissioner Shailesh Gandhi [directing RBI to disclose information]. The top man of the RBI should be hauled up for contempt of court. But they have taken a policy decision to not disclose. They announce on their website which information will not be disclosed, citing various exclusion clauses of RTI as ‘the enabling provision’. This is totally wrong. Now they have gone to court [against the CIC order to disclose the wilful defaulters list]. A common person might be able to file a 10-rupee RTI application. How will they have the wherewithal to face a powerful body like RBI in the Supreme Court? Is this not intimidation? In such a case, it is the job of the CIC to come to the rescue of the common citizen. RBI’s response, challenging your notice in the Bombay High Court, also reflects a wider phenomenon of authorities challenging CIC orders in court to avoid disclosure. Information commissions were supposed to be the site of final appeal. But courts have been turned into a site of third appeal by governments just to avoid giving information. A writ petition was meant to be a tool by which citizens could address the violation of their fundamental rights. Instead, governments are filing writ petitions against Information commissions and citizens, pleading for the non-disclosure of information. Look at the farce! Going by some media reports, there are 1,700 writ petitions filed by the government as of date against CIC orders. The government should ask itself, what message it is giving to the people by filing all these cases. You are aiming at intimidating the CIC, taming it. In some instances, cases are filed making individual commissioners respondents. In one case filed by Gujarat University [here, the university implemented Acharyulu’s order to disclose information on the postgraduate degree of Prime Minister Narendra Modi, but also moved the Gujarat High Court for a stay], I have been made Respondents 1, 2 and 3! Respondent 1 M Sridhar Acharyulu, Respondent 2 M Sridhar Acharyulu, Information Commissioner, and Respondent 3, Information Commissioner. The government’s RTI Act amendment bill is also being read as an attempt to tame the CIC. The amendment, if passed, will not just tame the CIC and RTI Act, but completely finish it. Currently, under the Act, the term of a commissioner is fixed. The independence of the CIC draws upon making it difficult to remove commissioners. The amendment will end commissioners’ independence and turn them into glorified clerks. Their tenure will be at the government’s pleasure. Citizens should strongly oppose these amendments. The Srikrishna Committee report [on the proposed Personal Data Protection Bill, 2018], which also proposes amending the RTI Act, is another big threat. In my term as commissioner, I saw Section 8.1.J [denying information on the grounds of it being ‘personal information’] of the RTI Act being widely abused by PIOs. Now, in the guise of privacy, the Srikrishna Committee’s proposed amendment will build a watertight compartment around a public authority, which will not provide even a drop of information. It is a very big threat. How could we strengthen RTI, given these challenges? The general election will be held in a few months, and citizens need to question political parties about their stand on RTI, and how committed they are to transparency. All political parties should commit to the following in their manifestos: That they will not amend or dilute the RTI Act; that they will implement Section 4 [the suo moto disclosure clause of the Act] in letter and spirit; that they will appoint information commissioners promptly and choose 90% of them from non-bureaucratic fields; and that they will bring themselves under RTI. Citizens should evaluate parties on these aspects before casting their vote. They should strongly resist any attempt to dilute RTI, and file RTI requests, and use the Act for public purpose.